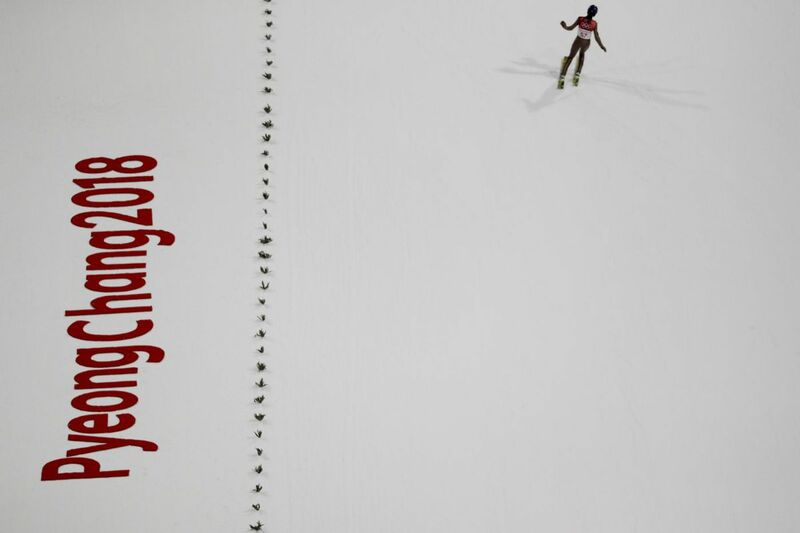 Kamil Stoch, of Poland, finishes his jump during the men’s normal hill individual ski jumping trial round for qualification ahead of the 2018 Winter Olympics in Pyeongchang, South Korea, Thursday, Feb. 8, 2018. It's finally time for the Opening Ceremony at the 2018 Winter Olympics in Pyeongchang, South Korea. NBC will televise the showcase on tape delay, but will stream it live starting at 6 a.m. Eastern. It's the first time ever that NBC has live-streamed an Opening Ceremony online. All events are streamed live online via NBCOlympics.com and the NBC Sports app. Access is free with authentication through participating pay-TV providers. Here are Friday's full television listings. All listed times are Eastern. 12:38 a.m. to 3:38 a.m.